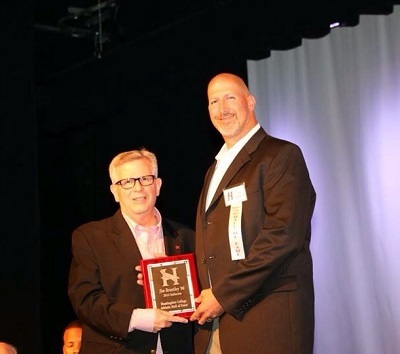 Macon East Academy athletic director, Jim Brantley was inducted into the Huntingdon College Athletic Hall of Fame at a ceremony held Saturday, October 3, 2015. A 1996 graduate of Huntingdon College, Brantley was an ace pitcher for the Hawks baseball program. A native of Fort Walton Beach, Florida, he compiled a career record of 23-16 on the mound with 5 saves and a 3.44 ERA in 295.2 innings pitched in his sophomore year. Brantley’s junior season ended with a 10-3 record and a 1.61 ERA in 95 innings pitched, as well as a 16-inning complete game shutout against Birmingham-Southern. After his senior season, Jim continued his baseball career with summer stops in Joliet, Illinois (North Central League), and Portsmouth, Illinois (Frontier League). He returned to Huntingdon for the 1996 season to finish his degree and serve as a pitching coach for the Hawks. Upon graduation, Brantley headed north to Springfield, Illinois, to help the Springfield Capitals win the 1996 Frontier League Championship, and ended that season with a 4-3 record and a 2.97 ERA. Jim began his teaching career in 1999 as a teacher and head baseball coach at Fort Dale Academy. He returned to the professional baseball circuit in 2001 as a closer for the Montgomery Wings and in 2002 as a player/pitching coach for the Selma Cloverleafs. 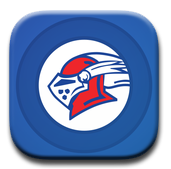 Coach Brantley joined the staff at Macon East in 2002 as a teacher and coach for the Knights baseball, basketball, and football programs. He was named Athletic Director in 2012. Congratulations to Coach Jim Brantley on his outstanding career and induction into Huntingdon Hall of Fame.